I’m such a breakfast lover that I’ve started to do these separate breakfast posts. This because I had real trouble finding vegan breakfast while in Stockholm a little while back. I want to help other breakfast aficionados to find nice places to eat brakfast while in Paris. I din’t explore that much, as there was plenty of Le Pain Quotidien’s in any direction. Even though France is the home of the avocado sandwich. 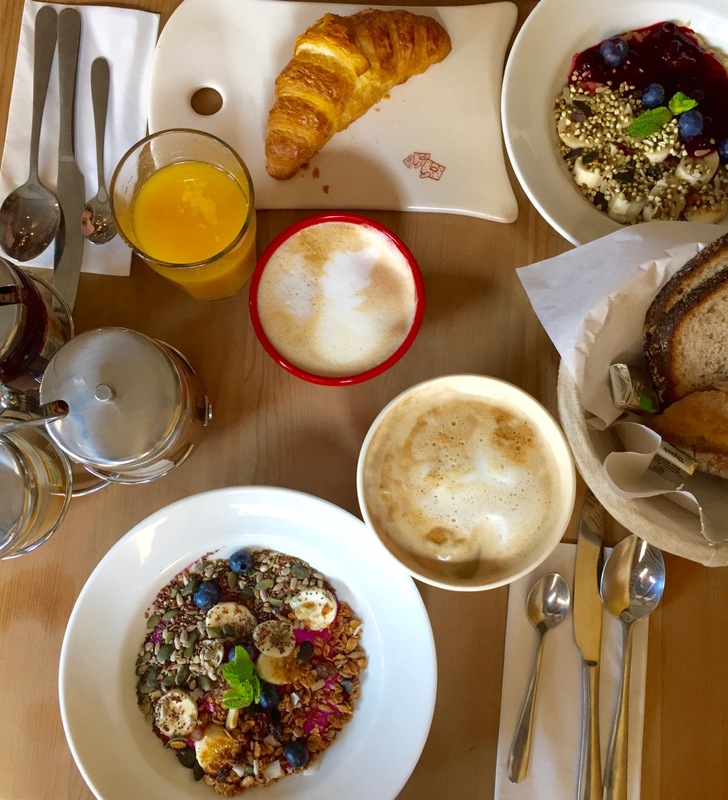 But here are some nice places where you can eat a nice vegan breakfast while visiting Paris. This is one of my absolute favourite places to have breakfast. Th setting is always cozy no matter where in the world it may be located, they play classical music which is a nice break from the hectic city life outside. Then of course its the small bucket of a latte or cappuccino that you get when you order the big size that I really appreciate to start my day with. They have plenty of vegan breakfast options, in this case petit dejeuner. I only had juice here here, but if you rather want something light or heavy like a sandwich, they have one vegan option on the menu. I really liked the food here, they have overnight oats, a sandwich, breakfast muffins with vegetables, chia pudding and porridge. I visited several times while I was in Paris. And my favourite was the porridge of everything I tried. But I do love porridge for breakfast. If everything else fails, there is always Pret. Maybe not the nicest spot for breakfast in Paris but they do have vegan options in their selection.